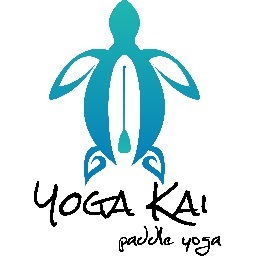 Yoga Kai brings the art of Yoga into a blissful union with stand-up paddle boarding. On the crystal waters surrounding Oahu, enjoy a class that challenges your posture and technique while leaving you rejuvenated. This is not a venture meant only for experienced Yogis. With Yoga Kai, less is more. Simple yoga poses are all you need to develop body awareness, and taking them on the board just enhances that awareness. Your balance and form will be tested when you feel the movement of the board beneath your hands and feet. The water has a wonderful way of letting you know when adjustments should be made. All the while you will be enjoying fresh air, majestic scenery, and the fun that only the ocean offers. Your asana will be exposed to a bliss it may have seldom seen or felt before. Enjoy 30% off all Paddle Yoga individual classes and/or packages using promo code YOGAKAI30.